With uncommon humanity, candor, wit, and erudition, National Book Award winner Andrew Solomon takes the listener on a journey of incomparable range and resonance into the most pervasive of family secrets. 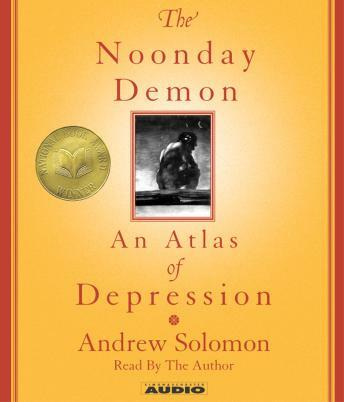 The Noonday Demon examines depression in personal, cultural, and scientific terms. Drawing on his own struggles with the illness and interviews wit fellow sufferers, doctors and scientists, policymakers and politicians, drug designers and philosophers, Solomon reveals the subtle complexities and sheer agony of the disease. He confronts the challenge of defining the illness and describes the vast range of available medications, the efficacy of alternative treatments, and the impact the malady has had on various demographic populations around the world and throughout history. He also explores the thorny patch of moral and ethical questions posed by emerging biological explanations for mental illness. The depth of human experience Solomon chronicles, the range of his intelligence, and his boundless curiosity and compassion will change the listener's view of the world. Very depressing personal narrative in style and narration. It was ok, but I just don't know how I feel about the style. Perhaps I was looking for something more scientific, factual or just less droning. To be flair I didn't finish this one, just not my genre. An indepth view, very thorough. But depressing also, appears to be a plea to accept depression as a medical problem. As a health care professional, there was not a lot of new information here but did give me some insight. At times it was very difficult to pay attention to.